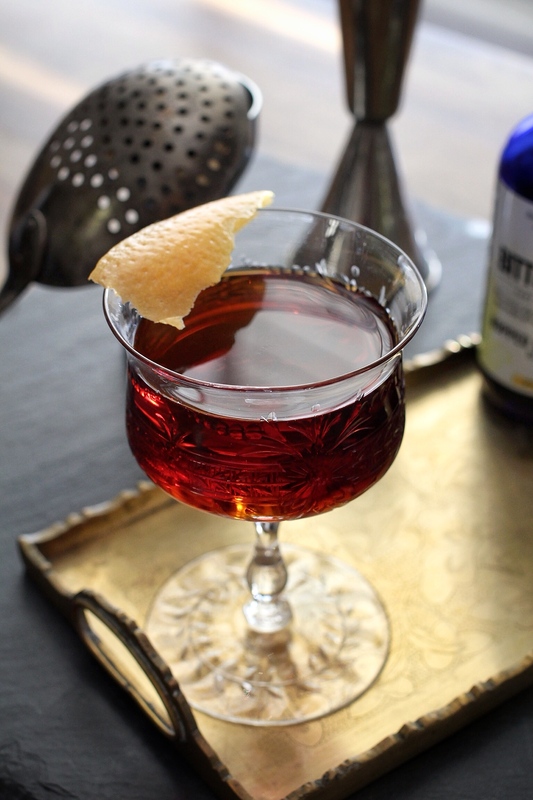 Add the Cynar, Manzanilla sherry, Bittermens Burlesque and Hopped Grapefruit bitters to a chilled mixing glass. Add ice and stir until well chilled. Strain into a chilled cocktail glass. Garnish with the grapefruit twist. Bittersweet citrus, herbs and salt on the nose. The palate features accents of earth and vegetable notes, citrus and an almost briny flavor. Crisp yet a bit heavier than its inspiration, the finish is bittersweet and herbal with a hint of salt. 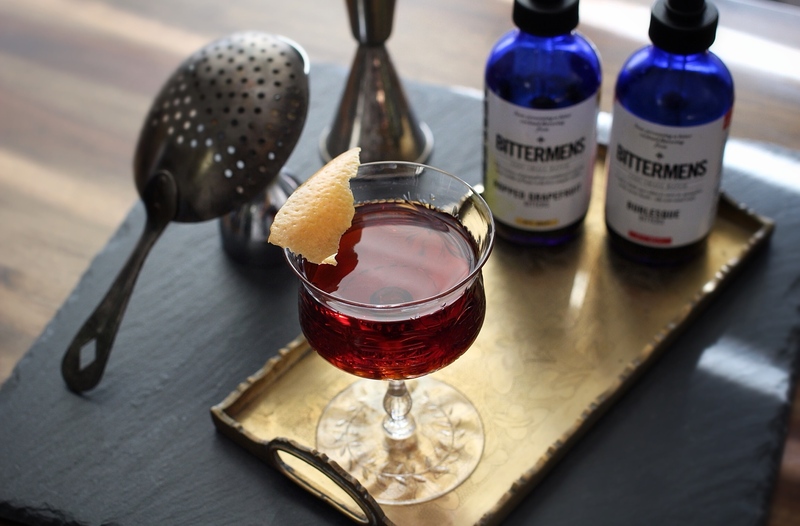 As some of you may know, I recently started writing about classic cocktails over at Drinks: Serous Eats. I’m really excited to have this opportunity to share some recipes with a new audience. In adition to providing a bit of history, I’ll also be including a variation with each post. Some have been covered here in some form or another, while others will be all new …well…new old drinks. In addition to providing a bit of history with each post, I’ll also be including a variation. My first contribution over at Serious Eats was one of my (and supposedly Andrew Jackson’s) favorite vermouth cocktails: The Old Hickory Cocktail. You might also remember it from a prior post here on The Straight Up. To recap, this one features equal parts white and sweet vermouth, with a bit of Peychaud’s and orange bitters to finish it off. The New Hickory Cocktail is a variation of this classic, which swaps out sweet vermouth for Cynar and dry vermouth for Manzanilla sherry, making for a fuller flavored version. Round it out with some Bittermens Burlesque and Hopped Grapefruit bitters to add a bit of citrus laced complexity. Stay tuned for more articles on classic cocktails over at Serious Eats. And don’t worry, recipes not already covered on The Straight Up will make their way over here as well. It’s a win-win.